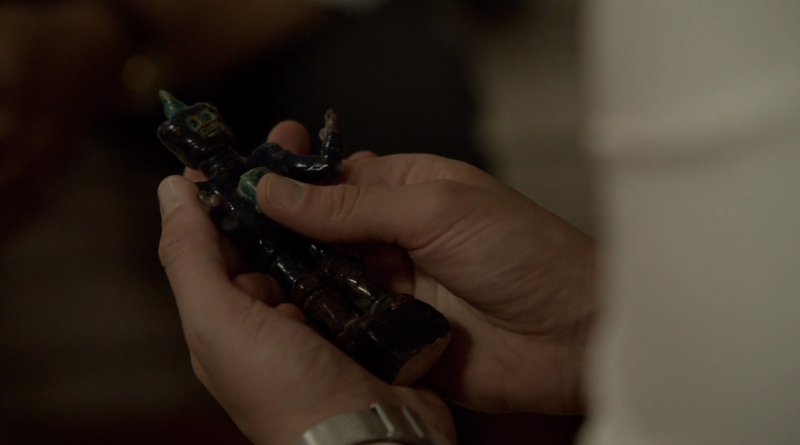 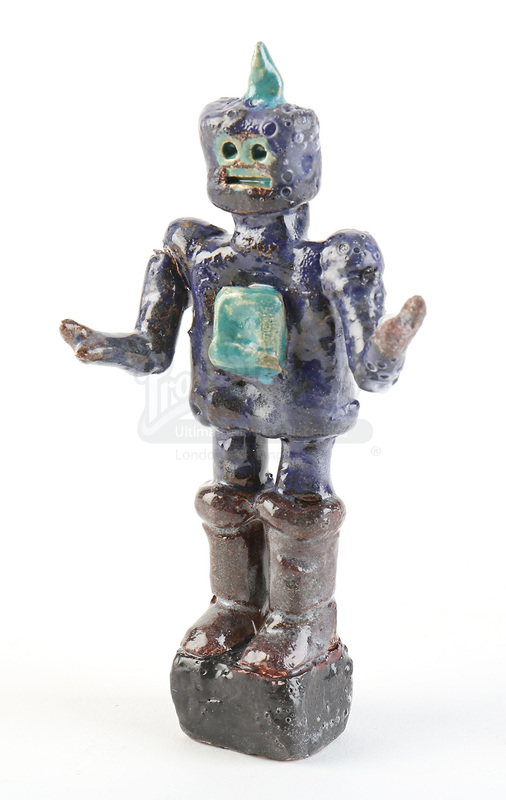 A ceramic robot figure from Alfonso Poyart's crime mystery Solace. 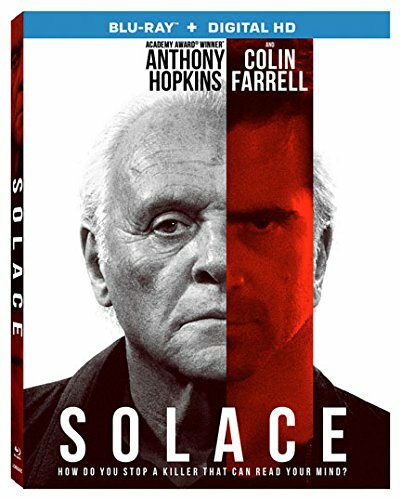 In the film, a psychic working for the FBI is tasked with another case in helping track down a serial killer. 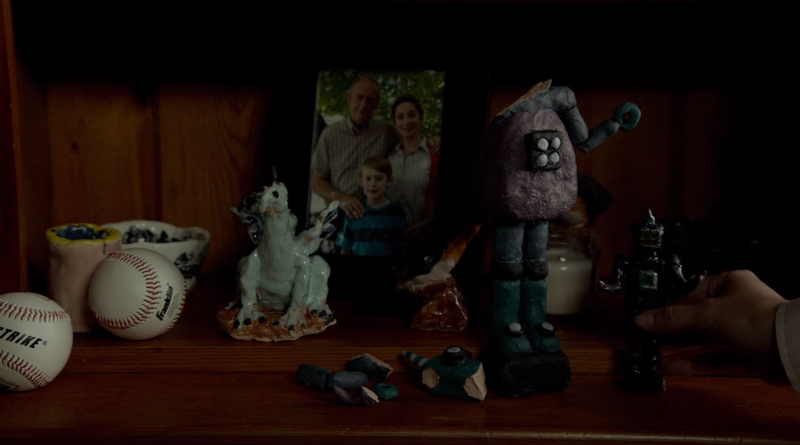 When Dr. Katherine Cowles (Abbie Cornish) questions Mr. Ellis (Xander Berkely) over his young son's health prior to his murder, she finds one of the sculptures he was so fond of making. 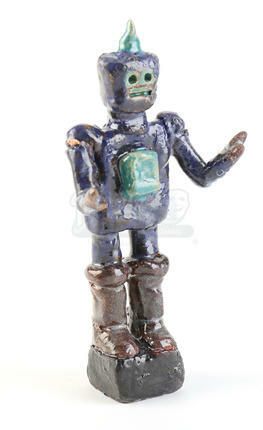 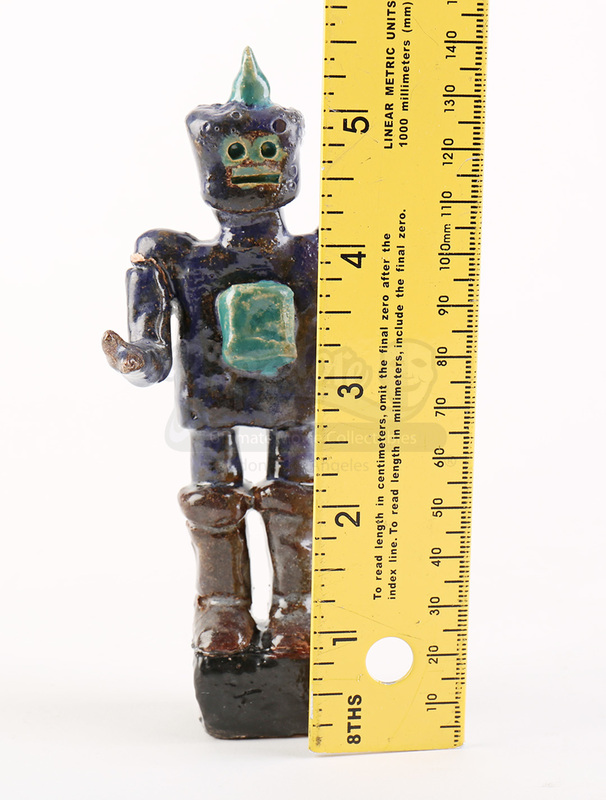 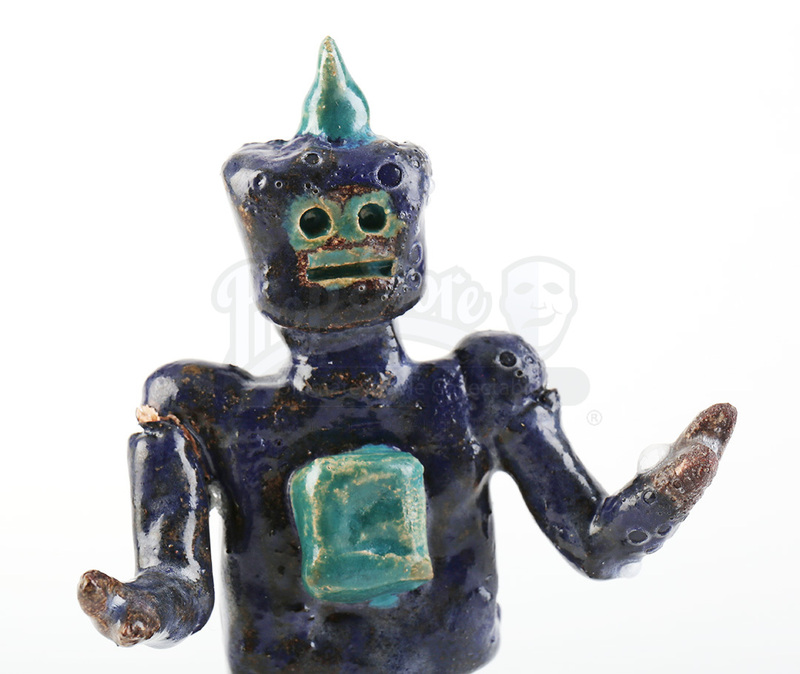 The ceramic figure is painted purple with light blue detailing and is made to depict a robot. 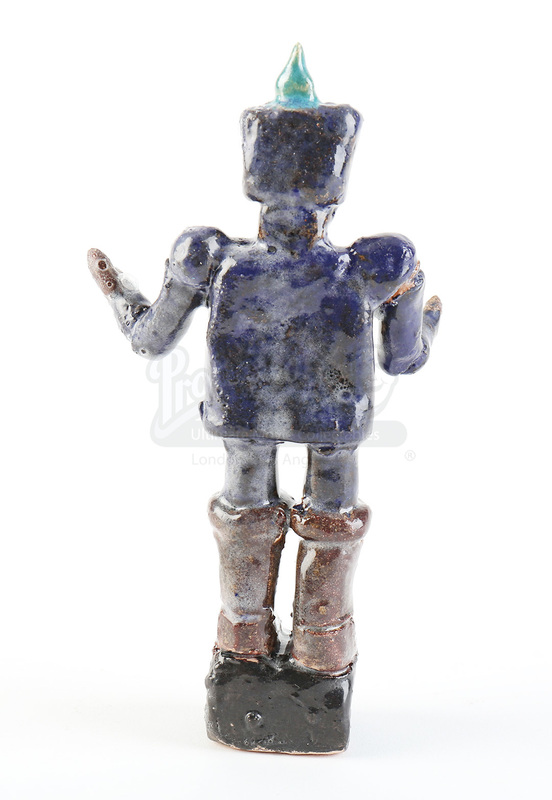 The statue's right arm shows a minor break and the whole piece shows minor signs of wear from production and storage, but it remains in very good overall condition.